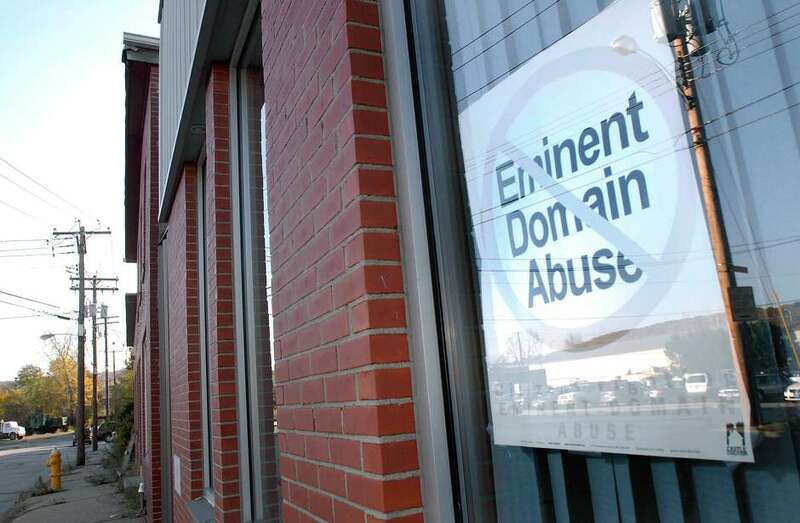 Eminent domain resembles a business transaction, with one notable exception. A property owner faced with a taking does not have the option to walk away from the table. Corporate entities that use eminent domain authority to take property often claim the system is working. It does — but only for them. Corporations with this powerful, often abused tool do not have to respect the same rules of transparency that government agencies must observe. They are not required to have public meetings, and eminent domain actions in general do not mandate a good faith offer. At least 1,271 non-governmental entities have a power of eminent domain, but nobody tracks exactly how many takings happen across our state each year or what they’re for. However, Texas Farm Bureau has documented many cases where property owners believe they’ve been slighted in the process. Such is the case of a Taylor County couple, Bill and Lynne Keys. Part of their land was taken for an easement as part of a pipeline project. As Bill says, “They have the right to take your land but not the right to take advantage of you.” He is right, but there is not much in Texas law to prevent it. The Keys discovered, as many landowners before, that the deck was stacked against them. They rejected initial low offers and explored their rights. That did not stop work from beginning, with little regard for protecting the remaining parts of their property. A road was constructed through their stock tank on this 95-year-old family farm. They are not optimistic about restoration that approaches its original condition. Property owners should be wary from the first encounter that starts the eminent domain process. No, there is no need to sign the first offer right there on the hood of the pickup. Yes, a landowner can ask for more. They can require that topsoil be replaced on top of the covered pipeline. Some have learned this does not always happen. There are also structures and surface water to consider. Property owners should ask a lawyer with eminent domain experience about any taking. Property takers are not required to offer enough information for a good decision. If ever a process called for more transparency, this is it. Landowners report low initial offers and pressure to sign agreements early in the process. If restoring land to original condition is not addressed specifically in agreements, the multi-billion-dollar corporations often pay very little attention to addressing that. Without taking on an expensive legal fight, property owners frequently are left with little recourse against powerful adversaries. Texas Farm Bureau believes the time has come to put remedies for these problems in statute. Transparency, in the form of public meetings and clear statements of rights, will clear this often misunderstood process. The deck is heavily stacked in favor of those that take property. They often claim the changes proposed would cost too much and slow down the process. How much does it cost to be fair? Do we not have the time to explain rights and be transparent? That the time to do this cannot be carved out of a multi-year planning process is too much to believe. That’s why the Texas Farm Bureau supports House bill 991 by Rep. DeWayne Burns, R-Corpus Christi, and Senate Bill 421 by Sen. Lois Kolkhorst, R-Brenham. These bills call for transparency and accountability, clearly defining the rights of property owners. They also provide consequences for lowball offers. Texas Farm Bureau and other supporters of these bills do not oppose eminent domain. With thousands of people moving to Texas each year, we need and will need infrastructure. There are public needs, and eminent domain is older than the nation itself. However, the constitutions of both Texas and the United States clearly state that no property will be taken without just compensation. Respect, even reverence for property rights, is common in Texas political rhetoric. Everyone likes to talk about how Texas businesses and lawmakers respect property rights. The truth is, until we fix the unfairness of eminent domain, that talk is mostly a myth. Eminent domain reform is the private property rights issue of our time. Without fairness, the process is a mockery of private property rights. This is an idea rooted in Texas traditions of fair play and respect for constitutional principles. It’s an idea whose time has come. Boening is president of the Texas Farm Bureau.